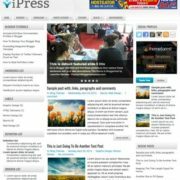 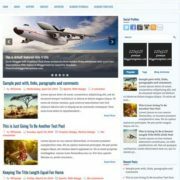 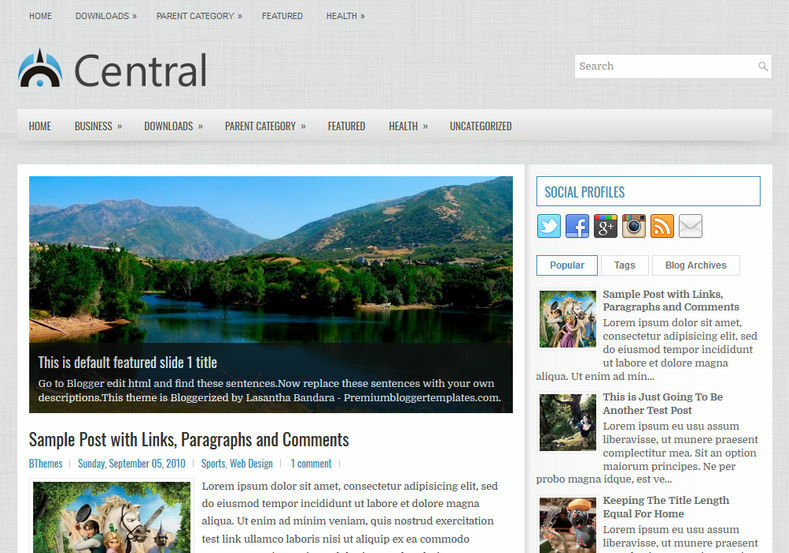 Central Blog Blogger Template is a clean responsive blogspot theme that fits any screen size with perfection. 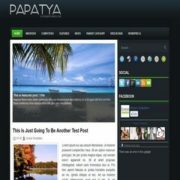 It is a 2 column template with simple and minimal design that suites any niche or topic but specifically made for personal blogs. 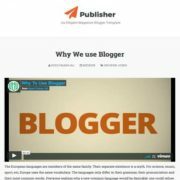 It is also suitable for blogs like travel, review, fashion, DIY, life & style, girly blogs etc. 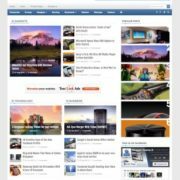 It contains a stylish slider, where you can feature your most important content with image and title, that can be changed easily. 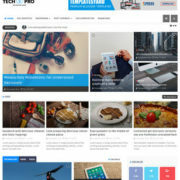 It is a simple yet very feature full theme with various user friendly features like, dropdown menu, breadcrumb, related posts etc. 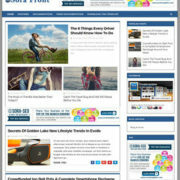 This theme is very clean and has whitish feel with minimal white color combination, where blue is a action color. 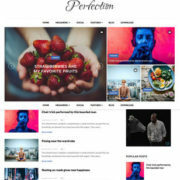 Seo Ready, Browser Compatibility, Responsive, Adapted From WordPress, Social Bookmark Ready, Post Thumbnails, Ads Ready, Drop Down Menu, Simple, 2 Columns , 1 Right Sidebar, Web2.0, Black, White, Minimal, Minimalist, Fast Loading, Breadcrumb Navigation Ready.